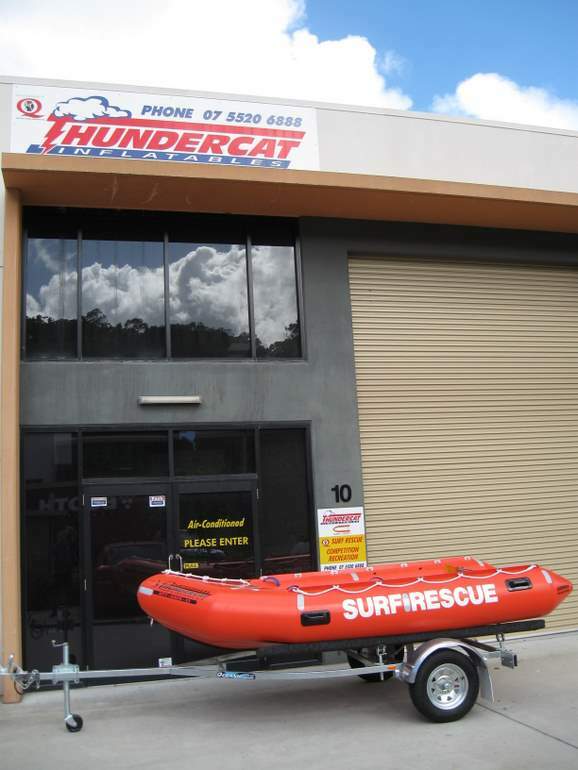 The Thundercat 388 has been put well and truly through its paces since it was approved for SLSA use. The 388 & 377 are the only IRB's designed with a fully moulded composite engineered transom to cater for larger and much heavier outboard engines.The unique design and degree of angles clearly leave their competitors in their wake. This was demonstrated in recent trials in Sydney and on the Gold Coast at The Aussies.